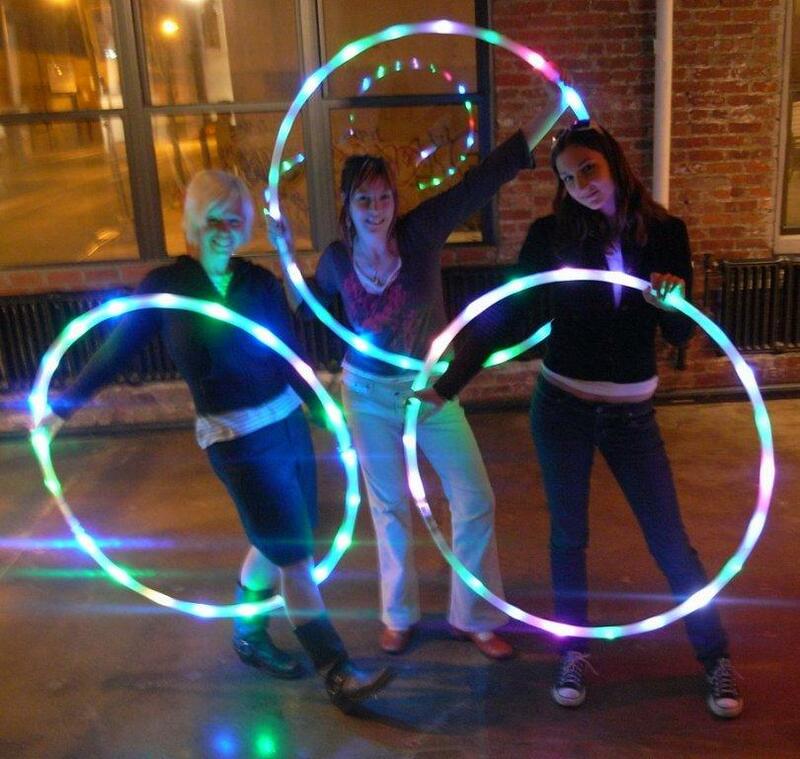 ProdMod LED Hula Hoop Workshop a Success! Sorry for such a late post but you’ll hear all the reasons why I was so busy in the coming posts. 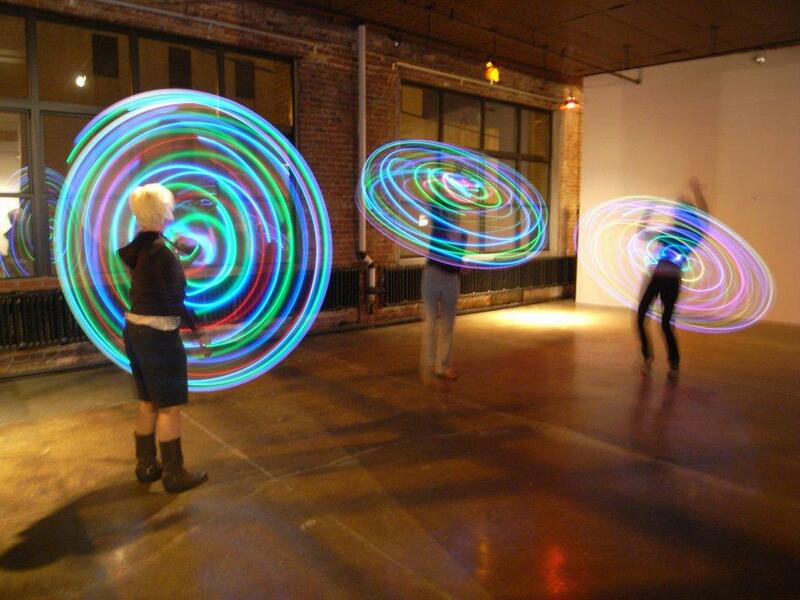 The ProdMod LED Hula Hoop Workshop was held on April 16 at 3rd Ward in Brooklyn. 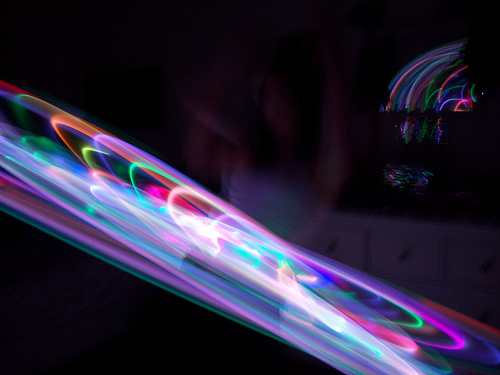 There were 7 people in this class and each person left with a working LED Hula Hoop. 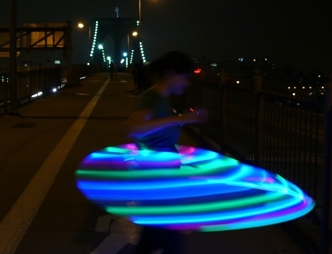 In fact we could say it was a solder-less LED Hula Hoop Workshop since every hoop was completed without ever using a soldering iron. In total it took about 4 hours, but it mostly had to do with these factors- we shared a scarce amount of tools, we didn’t have a projector as promised, only had a few printed instructions, and it seems like no one stopped to get anything to eat after a long days work. So we were all exhausted by the end but also super thrilled to finally finish our amazing hoops. It was great to see each person’s face light up as they closed their hoop and flipped the switch to see their project come alive. It made all that effort worth the while. 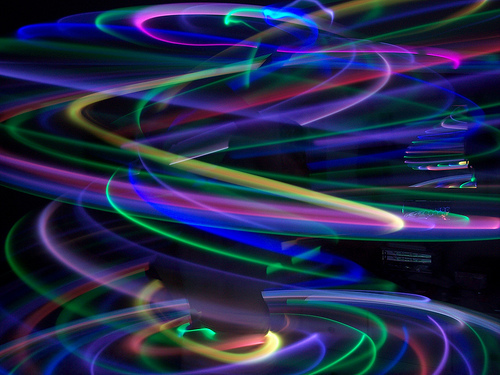 As each person finished they skipped over to the next room with the lights out to give it a spin. Photos will be shown below and in the gallery. One of the students wrapped their wire in a thin layer of bubble wrap to make it super quiet and it worked really well. 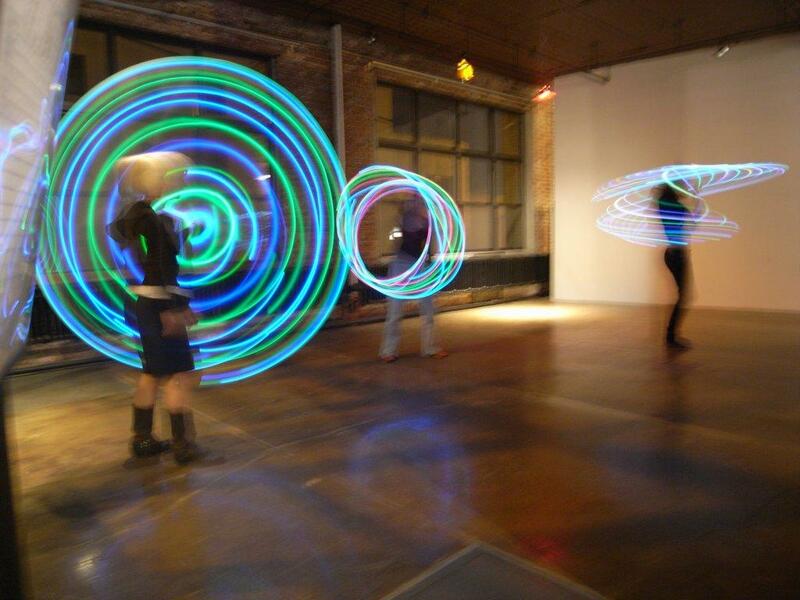 Each of the hoops were made without soldering. Everyone opted to simply twist the LED legs onto the wires, and the wires onto the switch and batteries as it is described in my instructions. We finished up connections with some white electrical tape and it was good to go. We also learned that using a rotary tool to cut the switch hole is the preferred way to do it. 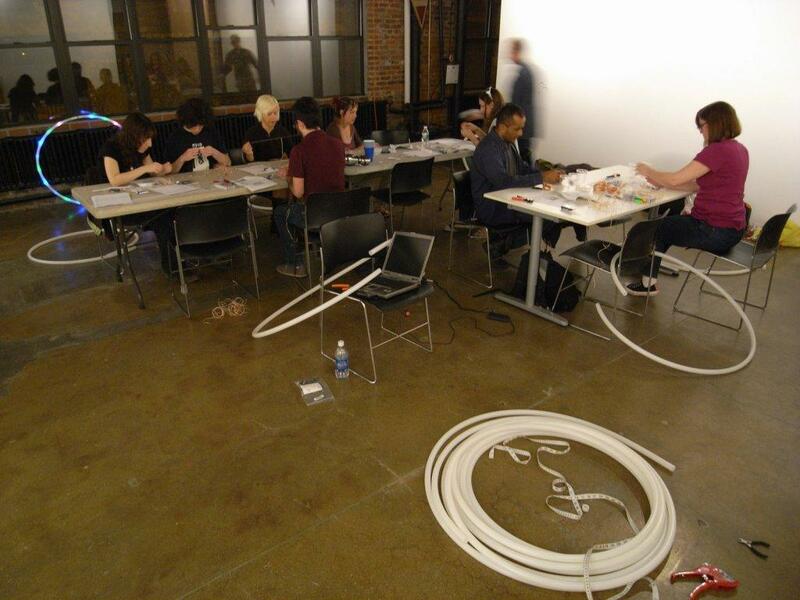 I was really happy to help everyone make these hoops and was really satisfied to see everyone smiling at the end. Here are a few testimonials from the group in this workshop. If you are interested in attending the next workshop please contact me and express your interest. This workshop was so educational and informational. 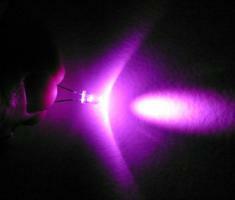 It was very helpful to have someone walk me through the intructions and have all the tools available to make a legitimate and beautiful LED hoop. I can’t wait to make more and show all my friends how to make them too. 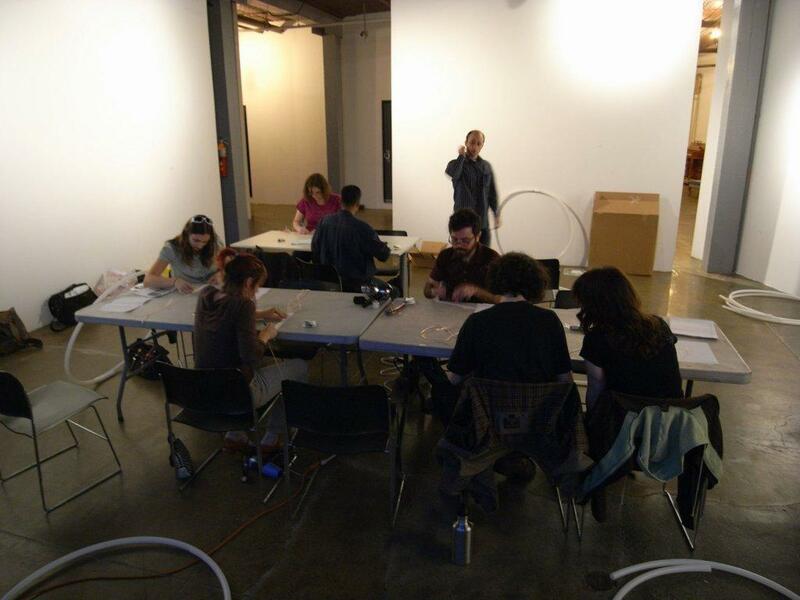 Keep us posted if you have anymore workshops because I know a lot of people that would love to come.